A Grammy Award-winning Latin jazz ensemble is slated to headline the 26th annual Rosslyn Jazz Festival next week. The festival will kick off at 1 p.m. on Saturday, September 10 at Gateway Park. 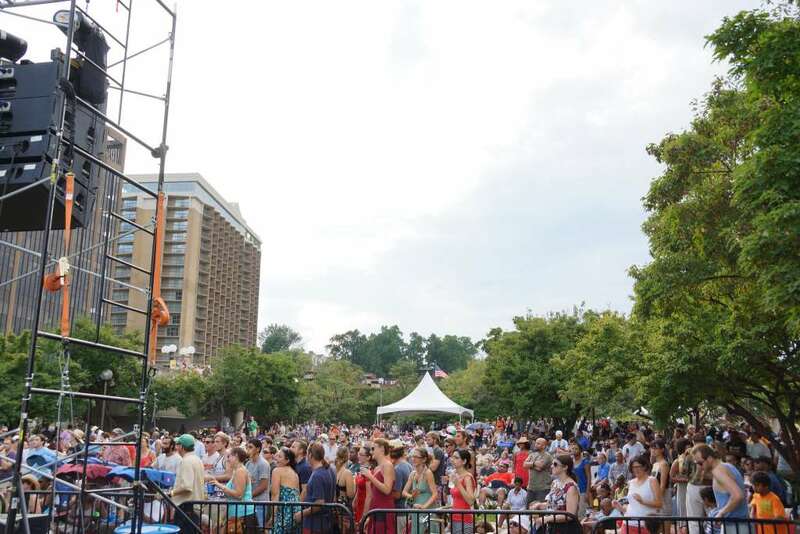 Thousands of people are expected to attend the event, according to the Rosslyn BID, which helps organize the festival. Grupo Fantasma, a Latin funk ensemble from Austin, Texas, is this year’s headlining act. The band’s 2010 album, “El Existentia,” won a Grammy for Best Latin Rock or Alternative Album in 2011. Other acts scheduled to perform in the festival include vocalist Akua Allrich, guitarist Vieux Farka Touré and the Glen David Andrews Band. Along with musical performances, this year’s festival will feature a special where kids can create their own musical instruments and an “art jam” session where attendees can draw, paint or write poems inspired by the festival. The event will also have beer and wine from local bars and a variety of snacks from area food trucks.